On Monday, September 21st, the world came together to recognize the International Day of Peace. In order to make sure that the day's message of peace reached the world's young people, the UN partnered with social media marketing platform Influential to spread the message across social media. Influential harnesses the power of social media stars from various platforms to market for brands, so they decided to use their star power to launch the #ForgiveForPeace campaign across all major social networks. 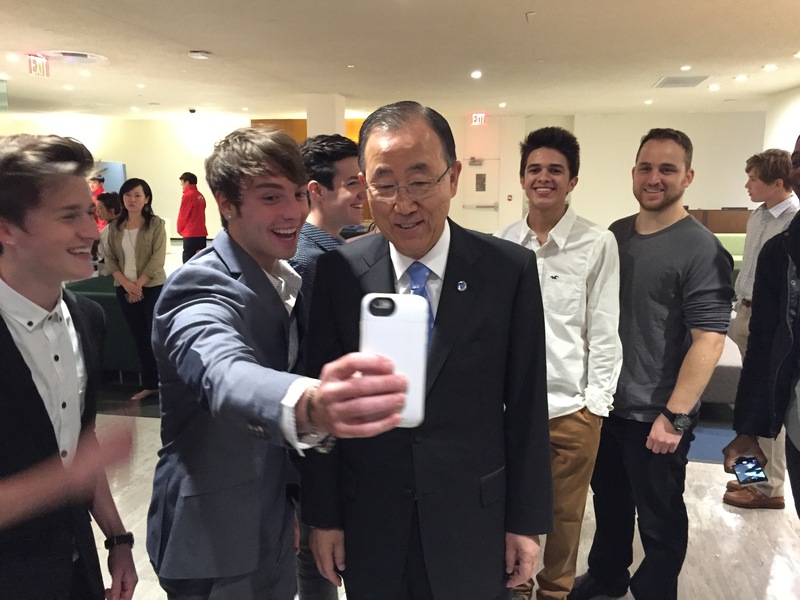 The UN appointed Influential's top five social media stars -- Brent Rivera, Aaron Carpenter, Christian Collins, Crawford Collins, and Wesley Stromberg -- as Youth Ambassadors. The five were present at UN headquarters in New York on Monday morning and participated in the ceremonial ringing of the peace bell along with UN Secretary-General Ban Ki-moon and other world leaders. "The campaign was executed using Influential's industry-leading enterprise technology, which allowed influencers to be push notified about the campaign and participate seamlessly through Influential's patent-pending app," said Influential CEO Ryan Detert. The campaign made quite a splash on social media; in less than 24 hours the campaign had over 880M social media impressions, and #ForgiveForPeace was trending at the #2 spot on Twitter in the US. The campaign also saw support from numerous celebrities, including Justin Bieber, Ellen DeGeneres, Garth Brooks, Goldie Hawn, George Takei, Arianna Huffington, and more. Wesley Stromberg even took a Snapchat selfie with Mr. Ban Ki-moon -- a first for the Secretary-General. "Influential's partnership with the United Nations' #ForgiveForPeace campaign for the International Day of Peace is a true testament to the power of social media and it's ability to bring positive change to the world. It is also indicative of a change in how world leaders are connecting with the youth generation," said Ryan Detert, founder of Influential.